As the sun is starting to show it's face I'm having to start showing some skin and this year I need to up my tanning regime but it does scare me a little. How do you prep the skin? What do you do to keep the tan looking even or long lasting? Hopefully if you're in the same boat as me today's post should help a little. 24 hours before tanning your skin it's time to exfoliate so your skin is prepped and leaves a smooth surface for your tanning product. My current body scrub is the Seascape Sea Salt Body Scrub* and my word this smells amazing. It's not the most practical of products in a heavy glass jar but it does make for a little bit of luxury which I am enjoying. Containing pure sea salt to nourish your skin, unclog pores and help remove dead skin cells it's a thick scrub which isn't abrasive to skin whilst still carrying out the task in hand. I like that it's thick enough to scoop up and massage into skin without lumps dropping into the bath or shower and being wasted. The next step is one I always think I shouldn't do and probably where I'm going wrong. Leading up to and on the day you apply your tan use a body lotion to ensure your skin is soft and supple ready to absorb your tanning products. Don't forget to keep yourself hydrated by drinking 2 litres of water. Before tanning I make sure to pay attention to dry areas like elbows, knees and heels applying LDN:SKINS Moisturising Lotion* which is another product that smells amazing with a zesty scent. Now it's the scary part, applying your chosen self tan. 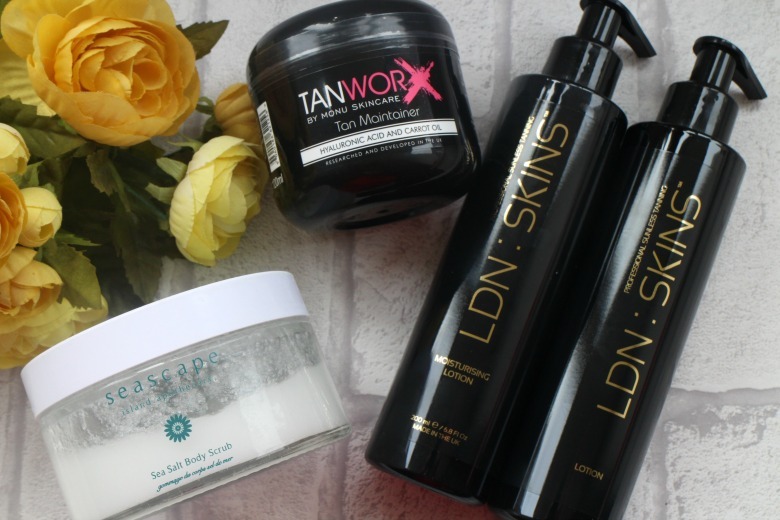 I have been using LDN:SKINS Tone 2 Self Tan Lotion* which comes in handy pump, a mitt for application and does not leave an unpleasant fake tan smell. It's important to take your time applying self-tan and find a routine that works for you to avoid streaks. The general rule is working upwards from your feet to ensure no crease marks appear on arms or stomach. If you become a real pro with your tanning you can even apply more coverage and contour specific areas but I think that's a stretch too far for me at this stage! Of course if you're still not confident to go straight in with a self-tanner then you can always try mixing with your regular moisturiser (as long as it's oil-free) that leaves a lighter finish. Finally it's aftercare. Your tan is on, it's developed and look like you've been on holiday in the sun for a week (not dodging hail stones as I was only last week) so what's next? Admittedly I usually tan for a party or specific event so I don't give aftercare another thought but if you've put in all that effort and can extend your tans life why wouldn't you? Tanworx Tan Maintainer* is formulated with carrot oil, coconut oil and sunflower oil to moisturise your skin and help you maintain your sunkissed glow whilst also aiding it to fade evenly. I hope those tanning tips will be useful, if you have any others do let me know. My next one to try is the paint roller trick for my back. 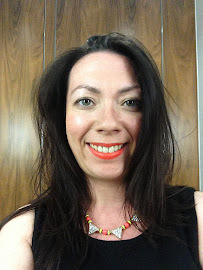 Same, I've left the tights at home today and missed a tanning session so I'm pasty pasty!